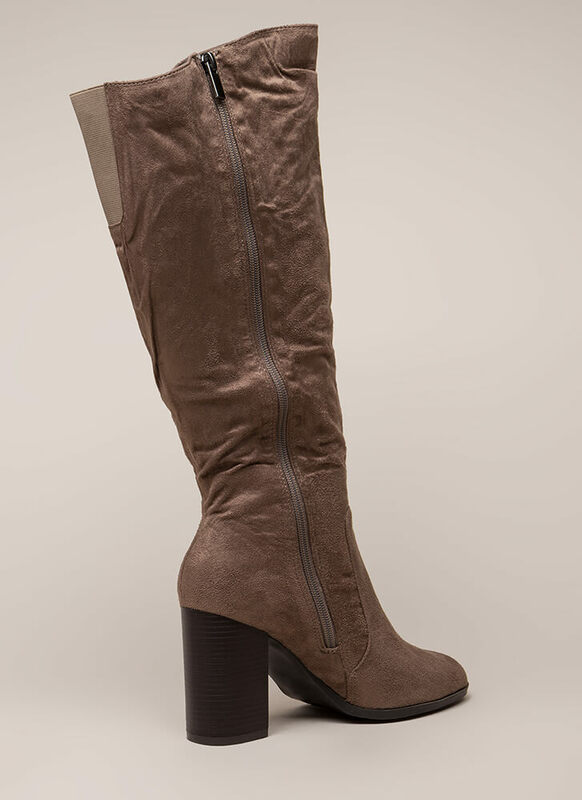 It won't be long before you discover the upside of these boots. 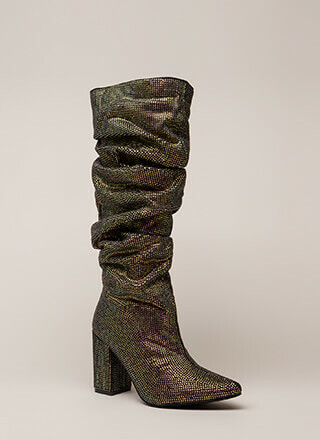 And there are a few! 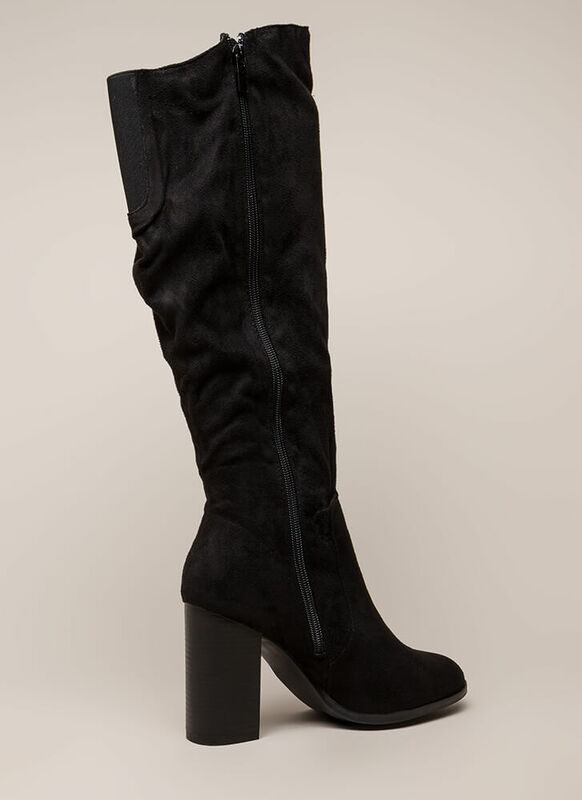 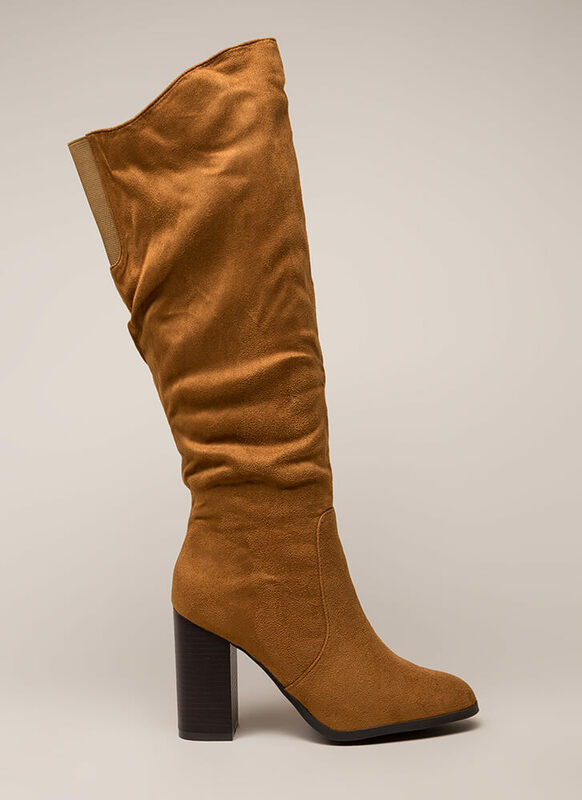 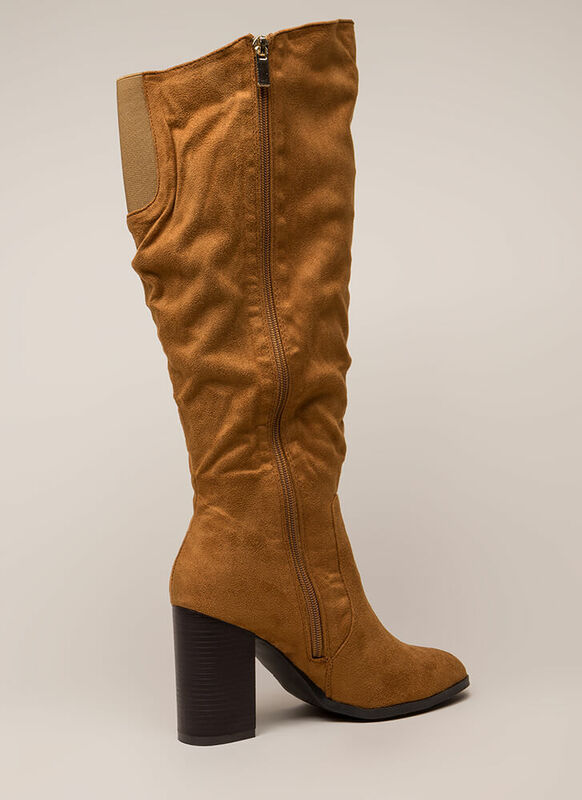 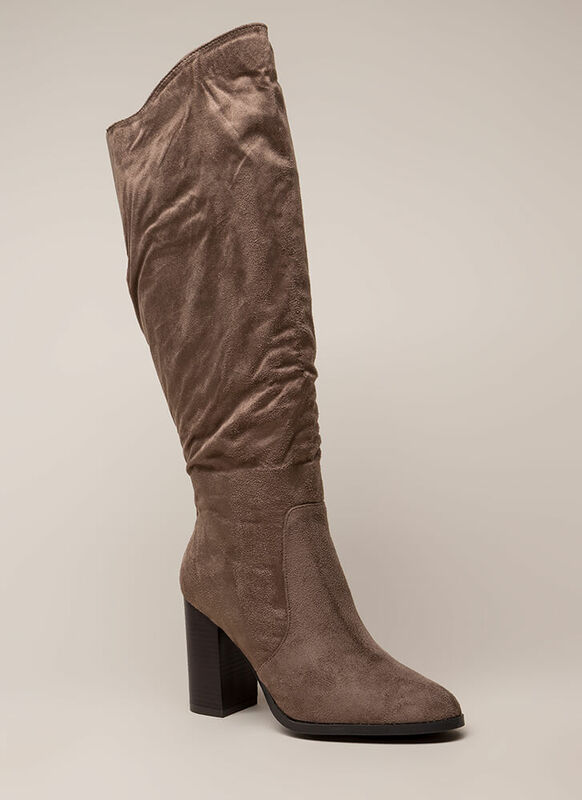 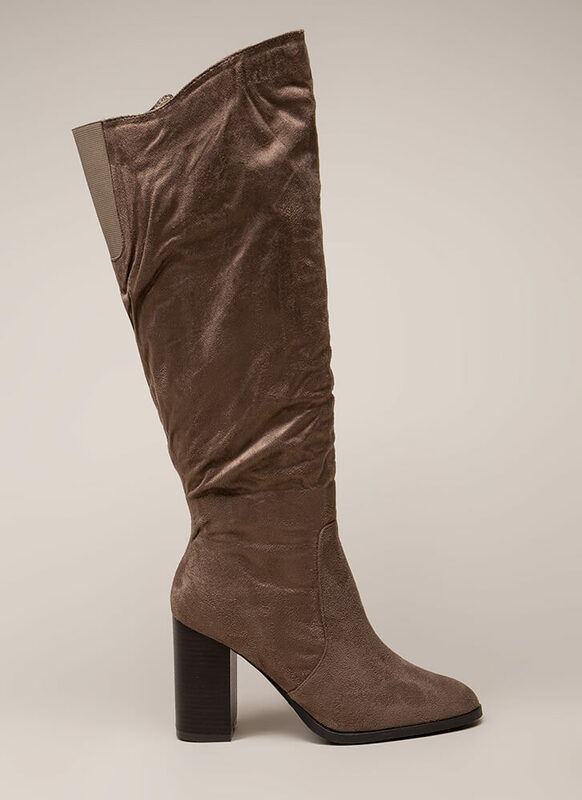 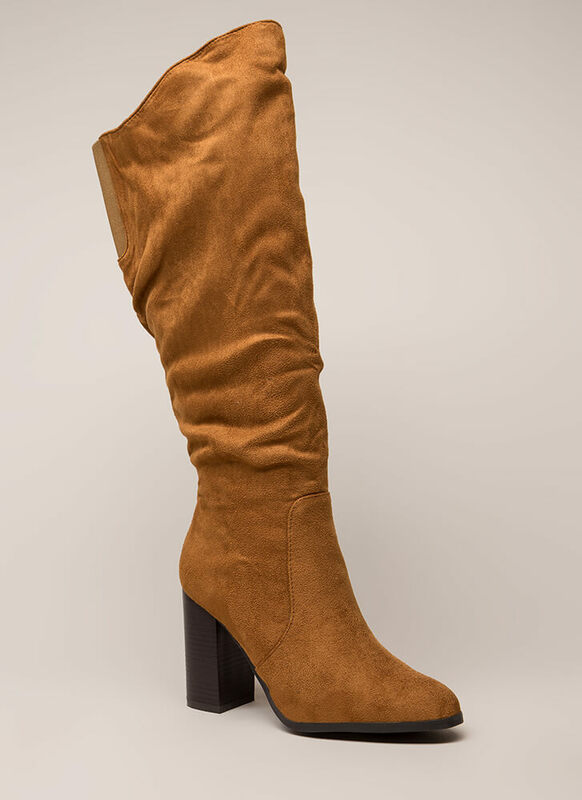 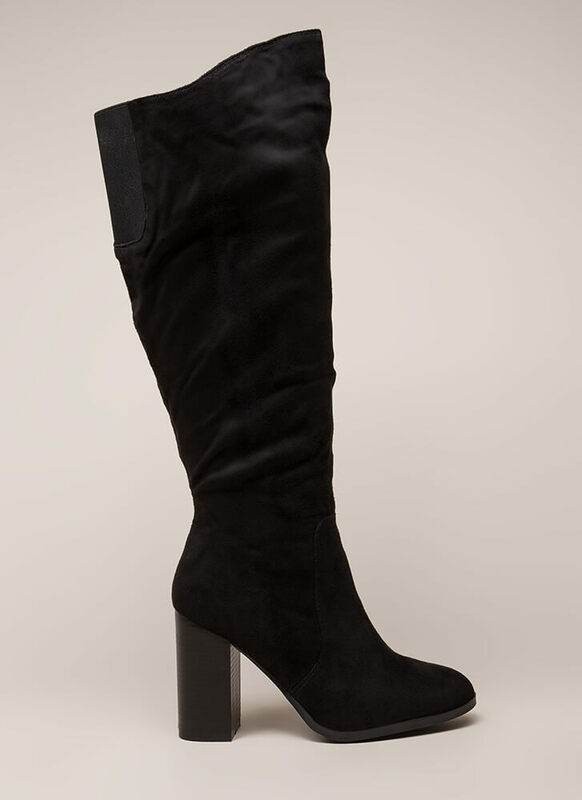 Chunky, knee-high, vegan suede boots feature a wide high-low shaft, a rear elastic gusset at the opening, a ridged sole, and a full-length side zipper for easy on and off.